These offers are free with the purchase of the Giant ATX 1 (2018) Bicycle. 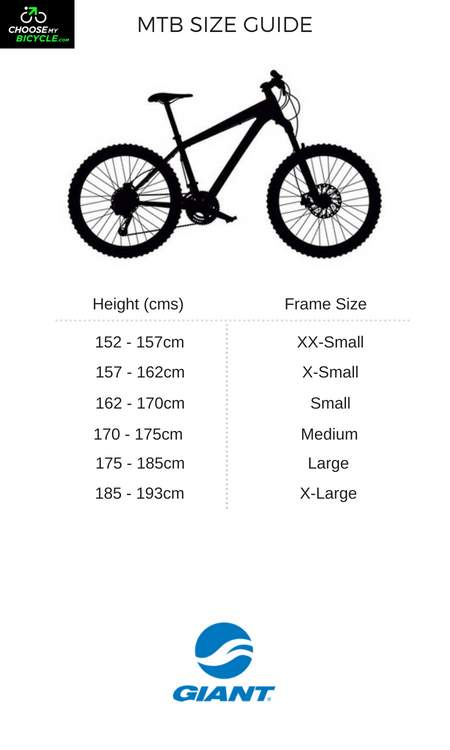 The Giant ATX 1 (2018) is a Mountain Bicycle which has an Aluxx Grade Aluminium Frame. 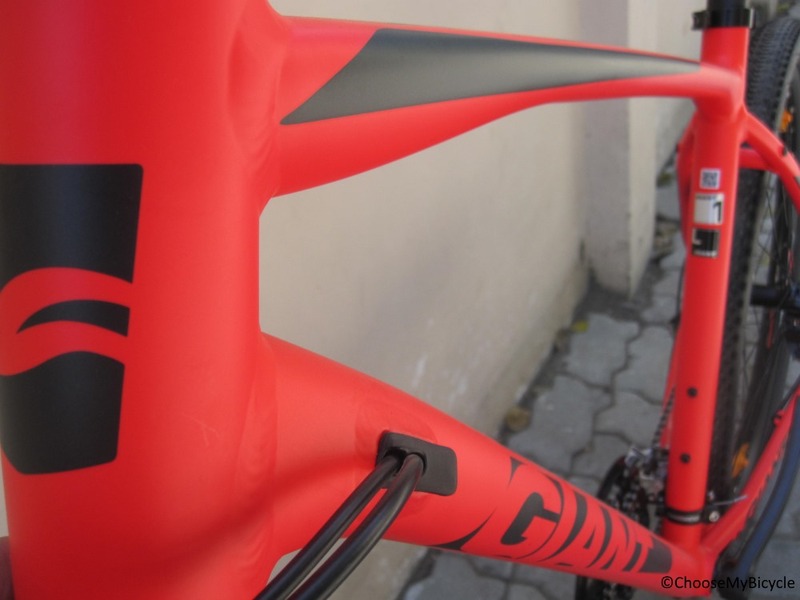 The Giant ATX 1 (2018) has a Shimano M191 front derailleur, a Shimano Acera rear derailleur and Shimano EF500 shifters. 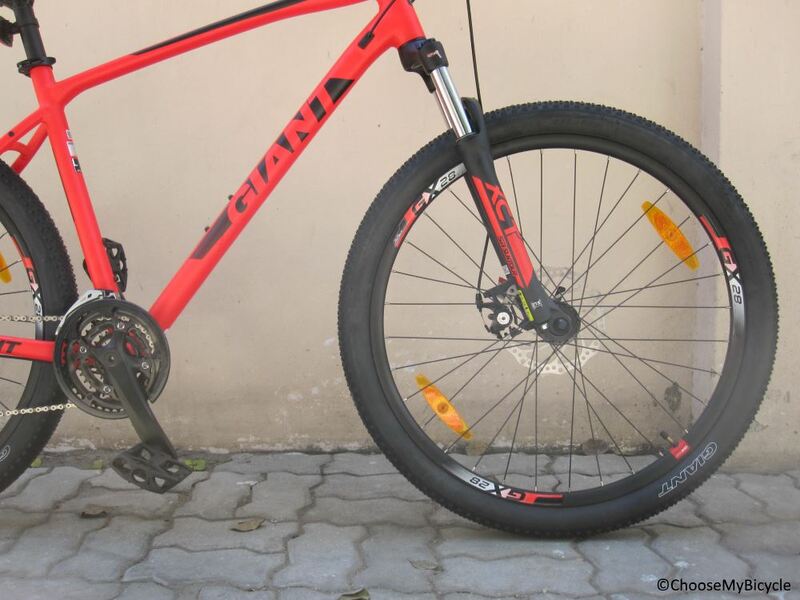 This MTB from Giant comes with Tektro TKB172 Mechanical Disc Brakes which are connected to Shiamno EF500 Brake Levers. The Giant ATX 1 has a Suntour XCT HLO Suspension Fork with 100mm of travel. The Giant ATX 1 comes with a pair of Giant Sport 27.5" x 2.1" tires which are attached to Giant Alloy Rims. The price of the Giant ATX 1 (2018) is Rs.36,000. 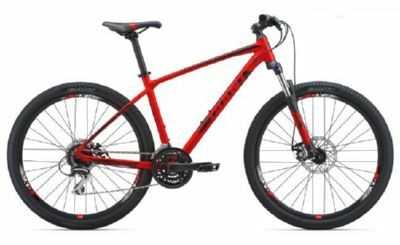 The Giant ATX 1 is a 27.5" mid-level MTB, that is ideal for adults looking for a bicycle that is capable of both off-road and on-road riding conditions. 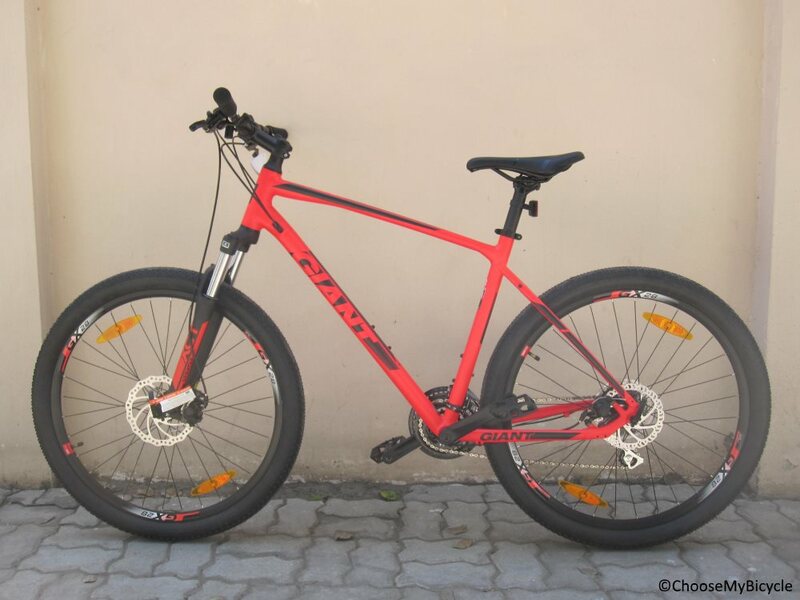 Giant Sport 27.5" x 2.1"
This hardtail MTB gave a comfortable riding posture to the rider. The reactive disc brakes and heavily treaded tires made it safe to ride fast on flat trails and harsh urban roads. 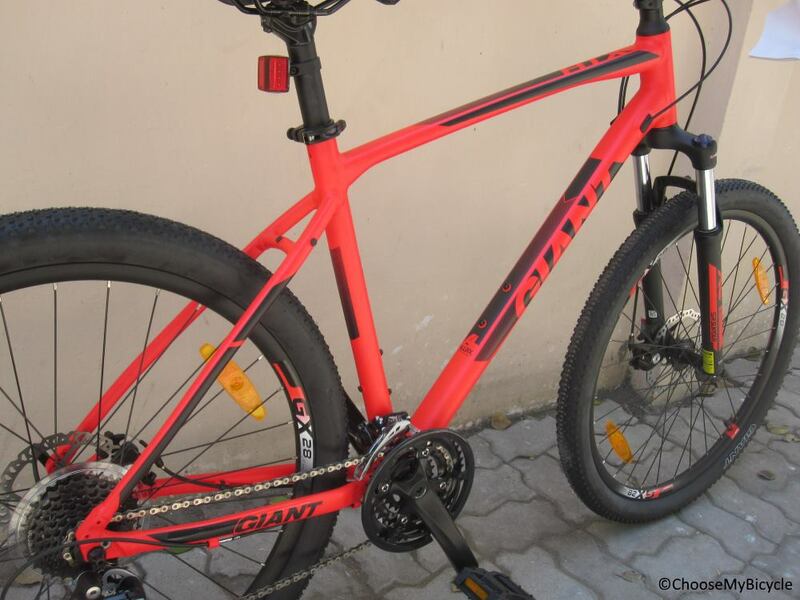 Priced at Rs.36,000 the Giant ATX 1 27.5 (2018) is an ideal hardtail MTB for anyone looking for a bicycle to ride both on flat trails and harsh urban roads. 2. In what condition will I get the Giant ATX 1 (2018)? 6. 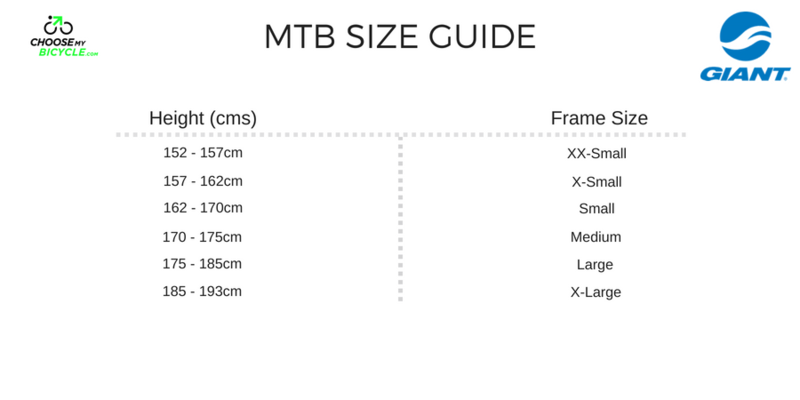 How will I know if Giant ATX 1 (2018) will fit me without riding it? 7. How long will it take for me to receive the Giant ATX 1 (2018)?